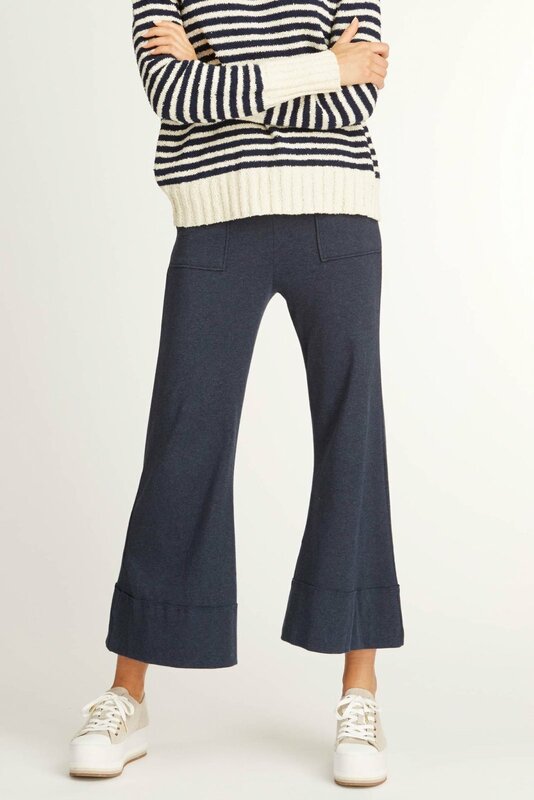 These perfect cropped pants are ultra soft, made from sustainable, organic Pima cotton jersey. Modern, with an elegant fit, these pants are designed with patch pockets and a wide hem at cuffs. Made in Peru using fair trade labor standards, eco-friendly fabrics and low-impact dyes.